Live a step back in time to the sound of ancient harp with a triple harp of 17th century. 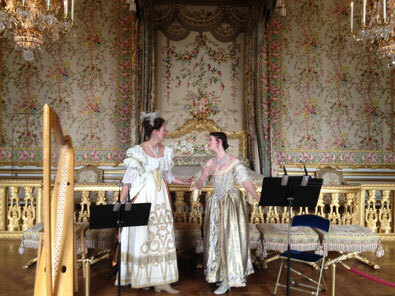 Its unique sound and esthetic will be appropriate for your baroque theme events with Italian, French, English or Spanish baroque music. It is preferable that the harp is accompanied by other instruments such as the baroque lute, theorbo, baroque guitar, recorder and even baroque singing. This service can be performed in costumes.